This entry was posted in 2017 Corel Painter Posts and tagged Class for Corel Painter 2017, Express Paint, Interactive Gradient tool, Video Tutorials for Corel Painter 2017. Bookmark the permalink. Hi Skip, I’ve been following your posts for quite some time. I am interested to learn Corelpainter for a number of years now, did do one of your tutorials long time ago but I’m always strapped for time with the business and all. Haven’t upgraded yet to Corel 17. Till when can I still join your class. What’s the cost and total duration? You email came just in time. I have been so busy in my studio creating real media art for my next eBook that I forgot about your class. I am so happy I could still enroll. 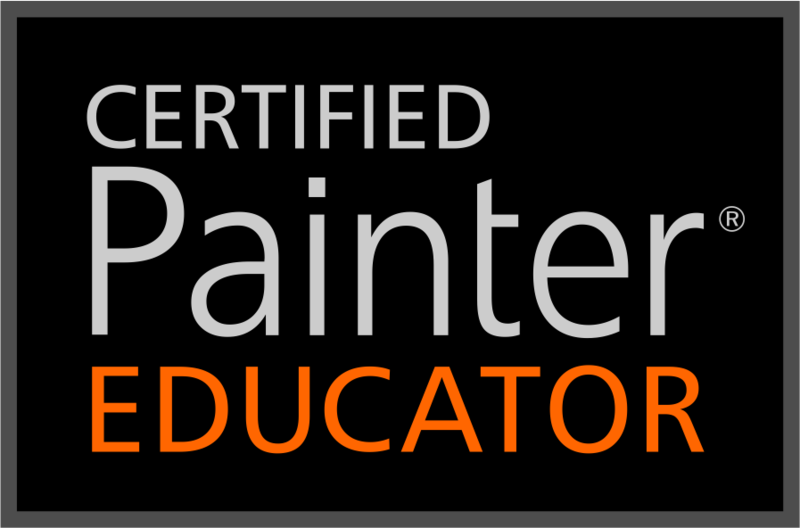 I am looking forward to getting back to Painter and learning how to use 17. I have forgotten so much I hope I can catch up! Like Antoinette, I haven’t yet upgraded to Painter 17, and so would like to vote for adding an open enrollment. Your painting is ethereal – I see a forestscape and water reflection from another world. I got so much out of your classes on Painter 11 [that’s how far behind the Painter eight ball I am!] and look forward to more in the future. So glad you are continuing to teach. Thanks Donna, The class will be open enrollment. You can join anytime. Hi Skip! so happy to see you are doing this class. I’ve signed up for it today, but I do love your lifestreams on courses. I want to take your class but it may be December before I will have the time. Can I still purchase your class that late? Thank you so much!